IIM Trichy FPM Admission 2019 – Indian Institute of Management Tiruchirappalli has released the notification for the eligible candidates for admission to the Fellow Programme in Management for June 2019 session. The application form of IIM Trichy FPM Admission 2019 for Fellow Programme in Managemen is available now. Candidates can fill same from the direct link below. Eligible candidates can check all the information related to IIM Trichy FPM Admission 2019 on this page like application process, important dates, eligibility criteria, result, etc. Latest: IIM Trichy FPM Admission 2019 list of candidates shortlisted for selection procedure has been released. Click here to check the shortlist. Interested candidates can apply online as per the schedule given below. Candidates are requested to fill the online application form before the last date and also check the eligibility criteria at least once before applying. Application process of the FPM Admission in the IIM Trichy has been started. Application form is available on the official website of the IIM Trichy. Direct link to download the application form is also given below. Candidates are advised to fill their application form correctly and submit it before the last date of the submission of the application form. Click here to apply online for the IIM Trichy FPM Admission 2019. Stage 1: Submission of the application form Candidates interested in pursuing the Fellow Programme in Management at IIM Tiruchirappalli (IIMT), begin their application process by submitting their application form and all associated submissions (academic record documents, certificates, qualifying examination scores, application fees etc.). 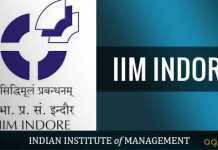 Note: Stage 2 and Stage 3 of the admission process will require the shortlisted candidates to travel to IIMT. These stages are typically held in the month of March. These stages will be held on two consecutive days. IIM Tiruchirappalli will reimburse to and fro travel expenses between the railway station at the place of residence (as given in the application form) and Tiruchirappalli, limited to III AC train fare, to shortlisted candidates. Post Graduate Programme in Management (PGPM) – Duration: 2 years. Fellow Programme in Management (FPM) – Duration: 4 to 5 years . Post Graduate Programme in Business Management (PGPBM) – Duration: 2 years – Weekend programme – conducted at IIMT Chennai Centre. Management Development Programmes (MDPs) – The IIM Tiruchirappalli EEC designs and delivers MDPs. The primary objective of MDP’s is to reskill the executives of different levels (senior, middle and junior) by enhancing their knowledge through the learning imparted by the faculty members of IIM Trichy. The participation is open to more than one specific organization or to a specific group of organizations. The institute offers Long Duration Programmes (LDPs) with a duration of over 6 months and Short Duration Programmes (SDPs) less than 6 months to one week. The mode of delivery of the programme can be an in-class programme at Trichy campus or at Chennai campus, or through eLearning mode (either through the studio to simulate in-class like the environment or through Direct-to-Device) or through Hybrid mode. 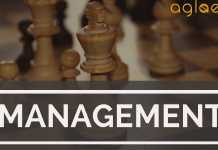 Open Management Development Programmes (Open-MDPs) – Open-MDP is an educational programme designed and offered by the Faculty members of IIM Trichy. The primary objective of Open-MDP’s is to serve the educational and training needs of practicing managers in specialized domains of knowledge. Faculty members having deep insight in their domains offer programs which is open for individual members or to specific organizations. Typically, the duration of the programme varies from one to five days. In-Company Training Programmes (ICTPs)- ICTP’s are programmes that are customized to suit the needs of the client organization. This programme is designed and offered by the faculty members of the institute at the request of a specific organization or a specific group of organizations. The duration of the programme may range from one to five days. Consultancy Project – is a work or service, other than in-company training program undertaken by IIM Trichy at the instance of any outside agency.
. Research Project – is a work or service undertaken by the IIM Trichy at the instance of any outside agency which results in the creation of knowledge. It includes assignments involving the writing of case studies, articles, papers, preparing videography, audio recordings, etc. For more details regarding the IIM Trichy FPM Admission 2019 for June session, Download Admission notification.